As you probably know, white-nose syndrome has unfortunately been found in Russell Cave in north Alabama. The team that discovered WNS took photos of some of the bats they saw. If you see a bat that looks anything like these, with white fuzzy fungus on their heads, bodies, or wings, please Report the Bat to us! If you’d like to look at high-resolution photos with really good detail, visit the FWS Flickr page. White-nose syndrome (WNS), the disease that has killed millions of bats in eastern North America, has been confirmed in bats in the Russell Cave complex in Jackson County, marking the arrival of the disease in Alabama. Although scientists have yet to fully understand white-nose syndrome, research has demonstrated the disease is caused by a newly discovered fungus, Geomyces destructans, which often grows into white tufts on the muzzles of infected bats, giving the disease its name. White-nose syndrome was first detected in New York state in 2006 and has killed more than 5.5 million cave dwelling bats in eastern North America. 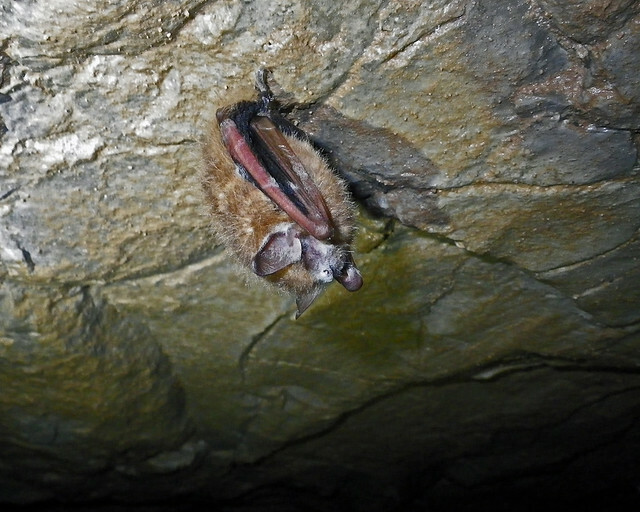 Mortality rates of bats have reached almost 100 percent in multi-year infected caves. With the discovery of WNS in Alabama, a total of 17 states and four Canadian Provinces have now been confirmed with the disease. This finding in Alabama represents the southern-most occurrence of WNS in North America. 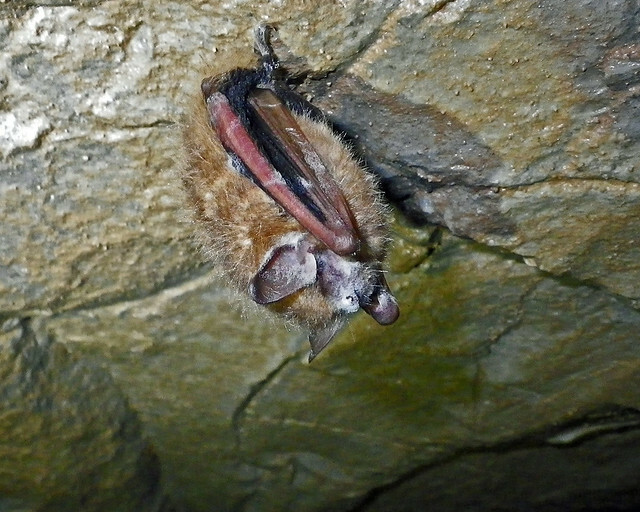 On March 1, 2012, a team of surveyors from Alabama A&M University and the National Park Service, coordinated by the Alabama Bat Working Group, were conducting a bat survey in Russell Cave in Jackson County where they saw numerous bats displaying symptomatic white patches of fungus on their skin. 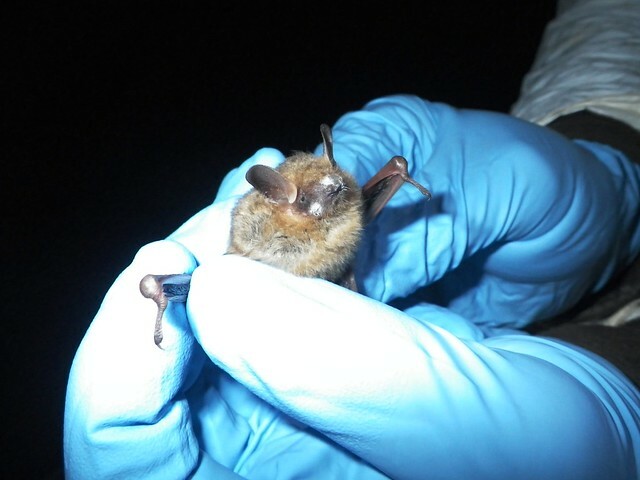 Two tri-colored bats and tissue samples from a Northern long-eared bat from the cave were sent to the Southeastern Cooperative Wildlife Disease Study unit at the University of Georgia for testing, which confirmed the presence of white-nose syndrome. The Russell Cave complex is a cave system that spans several miles of cave passage, including entrances on private property, and Russell Cave National Monument is managed by the National Park Service. WNS is known to be transmitted primarily from bat to bat, but fungal spores may be inadvertently carried to caves by humans on clothing and caving gear. Cave visitors are encouraged to check with landowners before entering any caves or mines, and to follow U.S. Fish and Wildlife Service decontamination protocols to reduce the risk of human assisted transport of fungal spores. Bats are an important part of our nation’s ecosystems, and provide significant pest control services to American farmers. Insectivorous bats likely save the U.S. agricultural industry at least $3 billion dollars each year, or approximately $74 per acre for the average farmer. Alabama is home to 15 species of bats, including federally listed endangered Gray and Indiana bats. White-nose syndrome does not pose a threat to humans, pets or livestock. 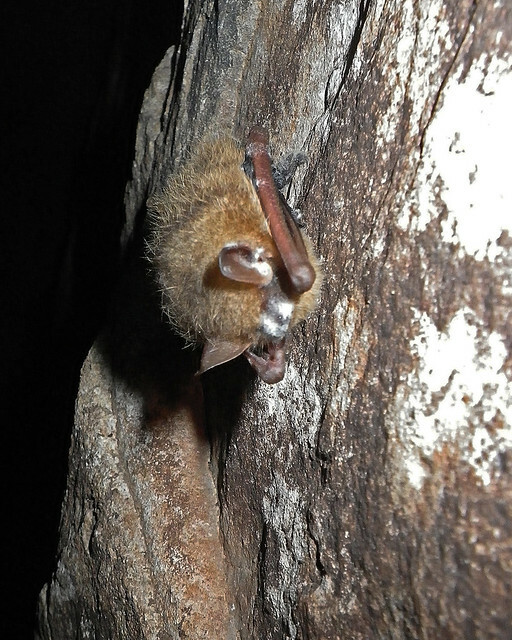 Physical signs associated with WNS are a white fungus on the bat’s nose, wings, ears or tail membrane, although affected bats do not always have visible fungus. Bats afflicted with WNS often exhibit unusual behavior in winter, including clustering near hibernacula entrances. Affected bats also may leave their hibernacula during the day and may be observed flying or clinging to rocks outside or on nearby buildings. Dead or dying bats are often found on the ground near affected areas. To report unusual bat activity persons can use the Alabama Bat Working Group’s website at: https://alabamabatwg.wordpress.com/report-a-bat/. For more information about white-nose syndrome, visit http://www.fws.gov/whitenosesyndrome. For more information about bats in Alabama, visit http://www.outdooralabama.com/watchable-wildlife/what/mammals/Bats/ or https://alabamabatwg.wordpress.com/. Choose the image you want from the set and click on it. Above the image, to the left you’ll see a drop-down menu labeled “Actions.” Click on it. Select the size image you want and click on the download command. You are currently browsing the Alabama Bat Working Group blog archives for March, 2012.